Members Area: create one and make your course take off! How to create a Members Area and make your business take off! Have you ever come across the term "Members Area"? If you are a digital entrepreneur, it's time to learn about something that can make your business take off! You have decided to start your entrepreneurial journey and have certainly stumbled upon the term Members Area on your first studies. And, if you haven’t heard about the subject yet, it’s time to understand everything about it. After creating your digital product, the next step is to choose where to host it and, in order to so, you must know all the options available. The Members Area is one of the main aspects that can make your online course take off and, to help you in your entrepreneurial journey, we’ve written a complete article so you yourself can come to the conclusion if it is a model that is an answer to your business plans. What is a Members Area? You have certainly come across a situation in which you needed a login and password to have access to a determined content. This is very common in news websites that have subscription plans or exclusive content for Premium users. This model is known as a members area. A members area is nothing more than a reserved area for users to have access to a specific content. Currently, this model is very used to host online courses and discussion forums. ensure the safety of your digital course. What is the difference between a members area and a digital products distribution platform? The digital products distribution platform is responsible for hosting and distributing digital products from a third-party, the digital producers. Naturally, it is also responsible for processing payments, bridging the gap between consumer, payment methods and product. Not necessarily there will be a members area attached to it. Now, the Members Area is a more robust option of where the product can be hosted. It is interesting to point out that a members area is, also, a kind of digital product distribution platform, once it is through it that the user will have access to an online course. How do you know if you need to host your online course in a members area? Even if you already are a digital Producer, it is important to identify if your online course needs a members area to be placed. If your course is based on an ebook or simpler material, with only a few items, it is not necessary to hire a members area. There are digital products platforms in the market, as is the case of Hotmart, that automatically delivers leaner files, such as ebooks. You desire to generate leads to your business with free modules. As you can see, the membership system opens a lot of doors to digital business. If you are beginning as a digital entrepreneur and is testing your market, consider using a members area to make your online course even more professional. Which functionalities should a members area have? It is very important to research the best tools in the market before hiring the ideal platform for your business, after all, you must trust completely the services made available to your enterprise. Certificate delivery: automatic delivery of a certificate of completion to all your students. Monitoring students’ progression: you can monitor students’ progress and analyze if there is any critical topic that they commonly abandon. This is ideal to implement improvements. Layout customization: change the colors of your Members Area to generate the public’s empathy. Integration with a safe payment platform: ensure the protection of your clients’ financial data. It’s a long list, right? But don’t you worry! It is possible to find it all in the market. Some characteristics that, at first glance, may not be so relevant but can increase your business potential, are integration with a good affiliate program and the possibility to receive international payments. The affiliate program can bring partners to your business, who will promote your product in exchange for a commission you have pre-set. To learn what affiliate programs are, read our post on the subject. With international payment, you open the doors to internationalize your business and sell all over the world. How much does hiring a members area cost? Now that you understand what a members area is and how it should work, it is time to talk about investment. It’s guaranteed that a digital enterprise may cost a lot less than opening a physical business, but, at this point, you probably already know that, but even so, there will be some expenses. In a quick search, we found platforms with different prices, US$ 21,26, US$ 77,97, US$ 62,31 and even US$ 344,13 a month. The good news is that, in 2016, Hotmart released its own Members Area, completely free of charge and, of course, with all the above-mentioned attributes! 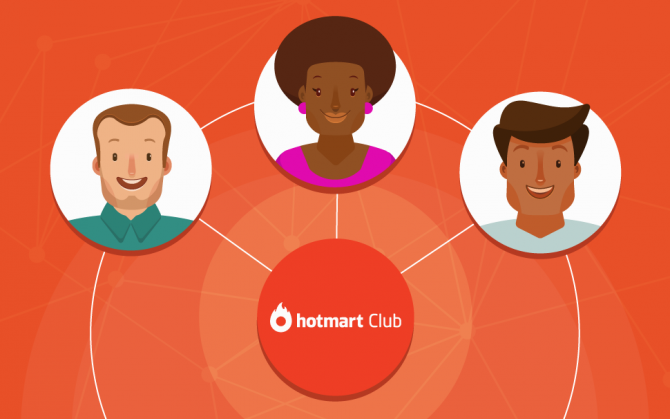 Click here to learn more about Hotmart Club. 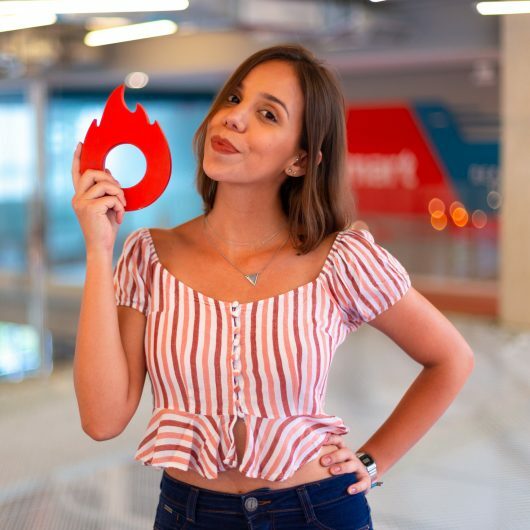 Do I have to hire someone to manage my Members Area? If you have just made the decision to become a digital entrepreneur, you will certainly have many attributions besides managing a members area, but be confident that you can get the job done with the support the tool gives you. In general, a members area (free or paid for), is completely intuitive so that any person can manage it. With a friendly interface your only job is basically to upload the files in order to start using it. After your course is launched you can easily control the modules and comments made on each page and follow closely how your sales are doing! In case you count on somebody’s help in your business on Hotmart Club, for example, it is possible to attribute the roles of Administrator (total management of the tool) and Editor (content modification and insertion). Throughout our post, we have listed countless advantages and surely you have understood how a members area can act on behalf of your business. But, for the digital entrepreneur, having an automated process is one of the main benefits, and in so doing he will have time to use his abilities on marketing and then attract new students. How to take quality traffic to your Members Area? This topic is about how to make sales and, for that, you must know your public really well, through the creation of your buyer persona, and structure well-segmented strategies. Use resources such as email marketing, social media, blog, landing pages focused on conversion, traffic purchase and, as we said above, affiliate programs. We have written a series of posts that tell you everything about sales strategies. For starters, read the first article about the sales process. A members area can improve your students’ experience and assist you in organizing your online course. If you appreciate convenience and usability, this can be the best resource to launch your digital product. If you liked this post or have any questions, share it with us in the comments below! And to learn more about our Members Area, Hotmart Club, click here.